Can you guess the most powerful brand in the world today? What is the most powerful brand in the world? Is it Apple, or Nike or, the new kid on the block Twitter? In a surprising result, the 2015 Brand Finance report has revealed that the most powerful global brand is Lego. Apple is number one in terms of brand value, but Lego has replaced Ferrari in the number one spot as the most powerful brand in the world. You might think Lego has it easy: what’s not to love about it? It has broad global and cross-generational appeal. Lego also appeals across gender. The hugely successful Lego movie, which was both a commercial and critical success, also massively boosted the brand’s popularity. But there are three lessons we can all learn from Lego’s success. Lego allows its customers to create. Of course they deal with toys, you mock! But no matter what you do, how can you help your customers live your brand experience and co-create with you? Can they submit their videos, as Red Bull fans do, or publish recipes that use your products? Creation builds communities of fans. Lego taps into nostalgia. What is your favourite Lego memory? Our favourite brands tap into an emotion: what emotion does your brand tap into? And finally, Lego is number one because of the reputation and goodwill it brings. Nothing beats reputation. No matter what you do in business, whether you are a leader, a changemaker or an entrepreneur, these three principles can help you build your personal brand. Allow your customers and team members to co-create with you; tap into emotion to make people care about your messages, and finally, it all comes down to your reputation – in business and in life. 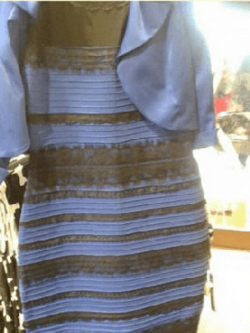 Last week the internet divided into two vociferous factions – all over the colour of a dress! Not since Monica Lewinsky’s infamous blue dress has a dress generated so much controversy. About 70% of people declared empathically that the dress was white and gold. They took solace in two things: it felt right and how could so many people be wrong? An equally vocal 30% of people were emphatic the dress was black and blue. Even scientists weighed into the debate, which began trending under #thedress, and received huge mainstream and social media coverage that would be the envy of any PR company. It looked like the global population was getting entrenched into two camps (actually, there was a third camp: those who were sooo over it). For anyone seeking nirvana under a banyan tree in a no-Wi-Fi zone last week who missed the headlines all over the world, the dress turned out to be black and blue. But what happened next in “dressgate” was sheer genius. The Salvation Army in South Africa took a picture of the dress and asked on Twitter: ‘Why is it so hard to see black and blue?’ The image depicted a beautiful battered model in the dress. The charity took a fun, frivolous issue and made a profound, succinct statement about an issue close to its heart: domestic violence. It’s a great example of brave, responsive storytelling that shines new light on a pervasive problem. As news editor Lauren Tuck noted ‘Domestic violence is a serious issue that deserves the same kind of fevered attention that was paid to #thedress’.